Alder lining Alder wood becomes very popular in the building and construction of sauna ot guest houses. 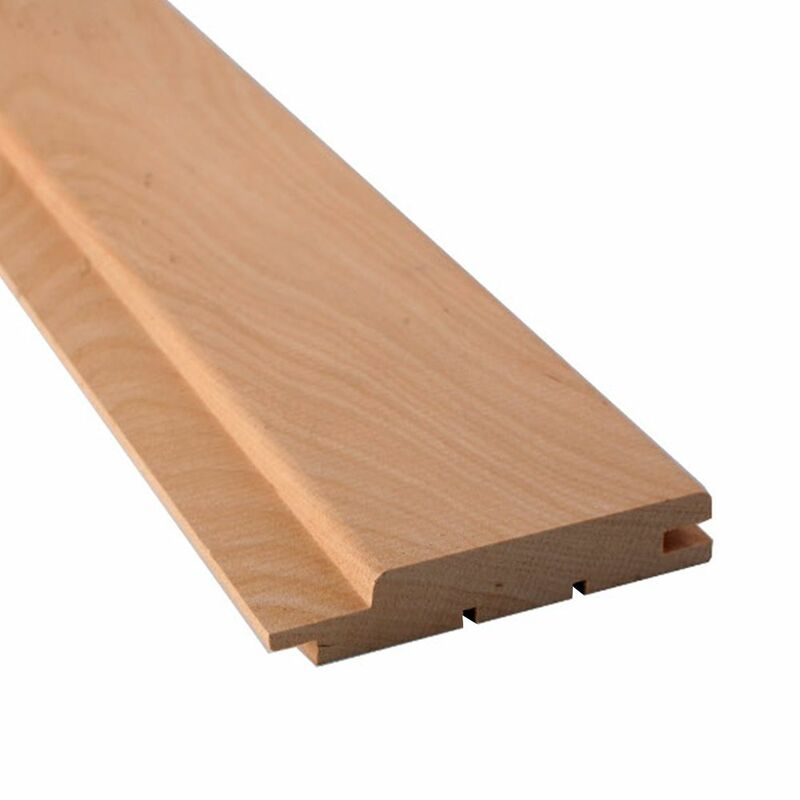 The reason - a very low thermal conductivity, strength, allowing alder to become a great material for wooden design In addition, the alder finishing has a low hygroscopic, absorb very low moisture . The combination of these qualities with durability makes alder wood the best option for the construction of the sauna. There is another very interesting quality that distinguishes alder finishing from other methods. Alder has an unusual color, like a colored coffee wood. Under the influence of humidity and temperature can change color and acquire a different shade, so alder interior decoration in the construction of the sauna looks more impressive. For the coating of 1m², 5.96 planks with the height of 2100 (mm) should be used.